In 2009, U2 went on their ambitious “360º tour” featuring a massive stage design that was known as “The Claw.” Now one of these 165-foot, 190-ton “claws” will be on display at Draper, Utah’s Loveland Living Planet Aquarium. “We are excited to bring this iconic monument to its permanent home in Utah,” LLPA founder and CEO Brent Anderson said in a statement. “This landmark will shine a light on our mission to inspire people to explore, discover, and learn about Earth’s diverse ecosystems.” A mock-up of the installation, as well as LLPA’s new expansion, can be seen at their website. Based on the plans, it seems like the sea creatures will be kept far away from the claw. 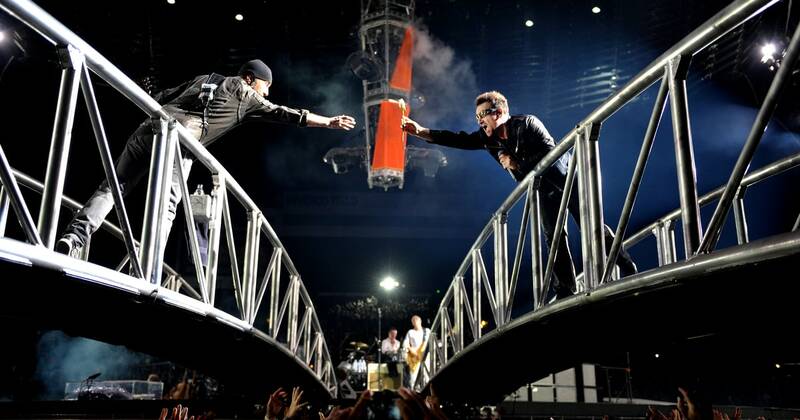 As for U2, they will be back on tour for Songs of Experience in May.